Tim Ferguson has been providing the foundation for Jazz groups in the New York City area for many years and has performed throughout the U.S. and Europe with a wide variety of well known jazz artists including: Don Friedman, George Cables, Cecil Bridgewater, Vanessa Rubin, Tony Scott, The Vanguard Jazz Orchestra, Eddie Harris, Mel Lewis, and Valery Ponomarev. He is also active with his own projects and can be heard regularly, performing live on tour and at New York City's many jazz venues. His current projects include: The Tom Dempsey/Tim Ferguson Quartet, his trio Tim Ferguson Inside/Out with pianist Diane Moser and Trumpeter Rob Henke, and the cooperatively led piano trio Stevens, Siegel & Ferguson. Tim can be heard on numerous recordings, most recently: "Hold That Thought" from Inside/Out, on Planet Arts Records, and the grammy nominated TD/TF Q 2012 CD "Beautiful Friendship" also on Planet Arts. Ferguson is author of "The Bass Line Encyclopedia" and co-author of "The Total Jazz Bassist", both published by Alfred. 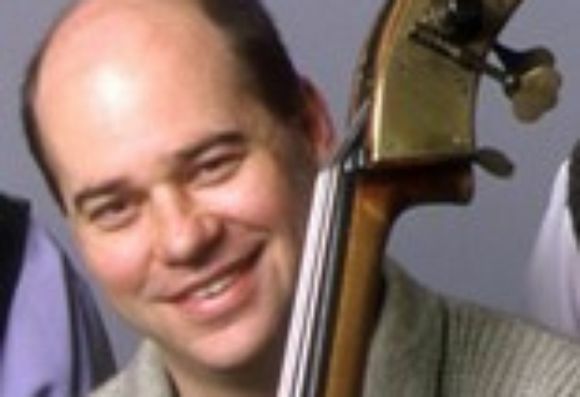 He is a member of the music faculty at the Trinity School, coaches ensembles at The New York Jazz Academy and teaches private lessons in his Greenwich VIllage home studio.